Kirk Cameron, who has been making appearances promoting a new documentary film, is now being called to repentance after raising concerns by statements he made encouraging Christians to celebrate Halloween. Cameron, best known for his role as Mike Seaver on the 80’s TV sitcom Growing Pains, is on a mission, not only to save “Christmas,” but to also save Halloween according to a recent interview with The Christian Post. Cameron went on to encourage Christians to participate in Halloween by dressing up and partying in order to show that Christians have the upper hand in the holiday. “When you go out on Halloween and see all people dressed in costumes and see someone in a great big bobble head Obama costume with great big ears and an Obama face, are they honoring him or poking fun?” Cameron asked. Answering his own question, Cameron said, “They are poking fun at him.” He then went on to offer an explanation for why Christians should wear costumes and celebrate Halloween. Cameron also encourages Christians to celebrate Halloween by having the biggest parties in order to show that death was already defeated because of Jesus’ resurrection. “You should have the biggest party on your block, and you should have the reason for everyone to come to your house and before anyone else’s house because yours is the most fun,” he argued. 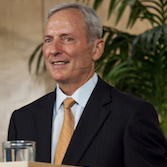 Mike Gendron of ProclaimingtheGospel.org, however, told Christian News Network that he does not agree, stating that the historical origins of Halloween are connected to the pagan practices of Roman Catholicism, and that its affiliations are far removed from biblical Christianity. “The two faiths are diametrically opposed to one another,” Gendron stated. 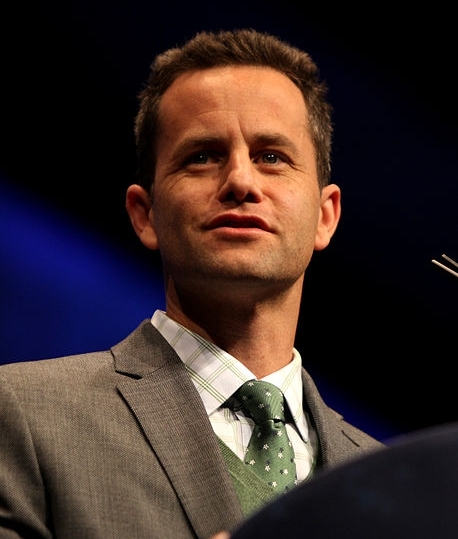 “I strongly disagree with Kirk Cameron and would encourage him to avoid celebrating anything that has to do with the pagan practices of the apostate Roman Catholic Church,” he said. Gendron explained that according to the Catholic Encyclopedia, the origin of All Hallows Eve goes back the the 11th century Catholic monks who set aside a day to pray for the dead. “Very quickly a tradition of baking cakes for deceased people emerged. People would go to cemeteries at nightfall to kneel at the graves of their loved ones, and to anoint the hollow of the tombstone with holy water,” Gendron continued. Gendron is concerned that the connections with the pagan holiday originated because of Catholicism’s fabrication of a place called purgatory where Catholics must go after they die to have their sins purged by fire before they could enter into heaven. Gendron admonished Cameron to repent of his message that encourages Christians to celebrate Halloween. “Kirk Cameron needs to repent of his message that urges Christians to participate in this dark holiday that glorifies the devil, ghosts, goblins and witches. Furthermore, the celebration of Halloween obscures and overshadows the anniversary of the Reformation, one of the great dates of the Christian calendar,” Gendron stated. “On October 31st while Kirk Cameron is urging people to celebrate Halloween, our ministry will be encouraging people to remember the Reformers who were brutally tortured, murdered and burned at the stake by the Roman Catholic Church for defending the Gospel of Jesus Christ,” he concluded. In a recent talk at Liberty University, Cameron associated criticisms on the pagan origins of holidays to Chinese food, using sarcasm to mock those who would object to celebrating over pagan concerns. Cameron ended the talk by stating that the earth is the Lord’s and everything it contains, everything God created is sacred, and the whole earth belongs to Him, implying that Christians are allowed to enjoy worldly traditions.